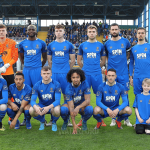 Following the first win for the Blues in the SSE Airtricity League Premier Division at the RSC last night, Manager Alan Reynolds looked back today on a hugely satisfactory night for his team and the great occasion overall for the club. The weather did its best to prevent the game kicking off but the efforts of the ground staff, boosted by a number of volunteers from the crowd, enabled the match officials to rule the pitch playable and the game went ahead albeit in dreadful conditions from start to finish. Before a near capacity crowd the atmosphere was electric and the team responded accordingly. 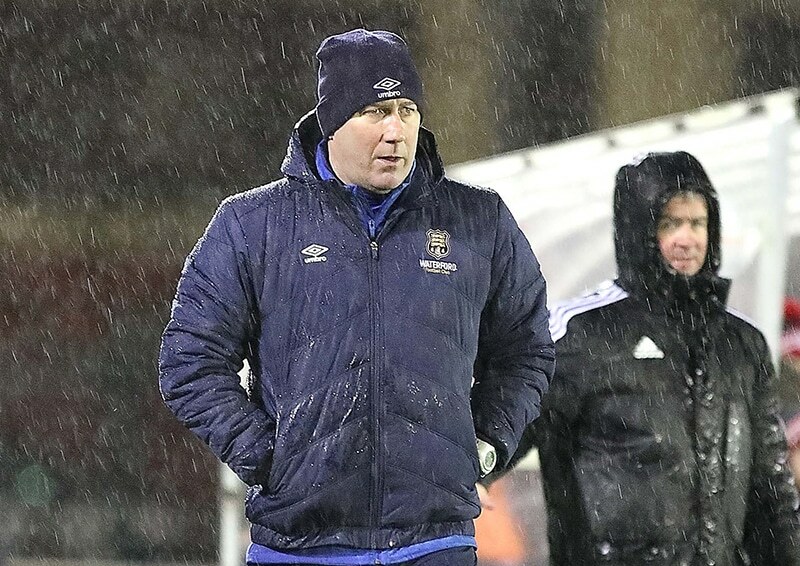 “This was a great night for the club, the supporters and all the volunteers who were on hand to ensure that the game went ahead because it was really touch and go for a while. It was nice to get off with a win, especially having gone behind in the match. “It was brilliant that we were able to bounce back so I was happy with that end of it. I have to say that there is a good group of players there but we’re not getting carried away with it. It’s only one win but it’s important to get the win under our belt and move on to next week. “I was delighted with some of the football that we played in the opening 20 minutes but this was undone then Derry scored. I think that set pieces are always important in this league and I spoke with the players about it and we know that we’ve got to do better dealing with them. 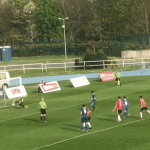 “I think that our deliveries into the penalty area need to be better but it’s so important defensively for each player that he picks up his man in the box. That’s something that we didn’t do for the goal that we conceded. That said I thought that our response was fantastic. “Gavan Holohan’s attitude is top drawer and his ability is just as good. I’m hoping that he has found his home here in Waterford. I’m delighted that he has got off to a good start like that with his goal but I’m looking for more of the same going forward. “It was a great winning goal on a pitch that wasn’t great because of all the rainfall. It was top class football and it was a goal that we deserved, I think. I found that we were going from front to back a bit much and with Derry dropping off a bit, it allowed us to pass the ball a bit more. “Dean O’Halloran is a proud Waterford lad that has won the fans and what a night for him. I said it earlier that we ask our players to perform to the maximum every game and that’s what we’re looking for. That’s what we got tonight. It’s about rest now and recovery now, ahead of the game against Cork City next Friday night.